eGuide to Malaga - Clarinda Parques S.L. Malaga is a magnificent city to visit, it used to be quite run down, but over the past 10 years has seen a massive reform. Awash with lively bars and restaurants, busy shopping streets and malls. The Historic center and been revitalised with street art and with many of the old run down buildings traditionally reformed. The port area has been transformed and landscaped from the old docklands to a resource for visiting cruise ships. 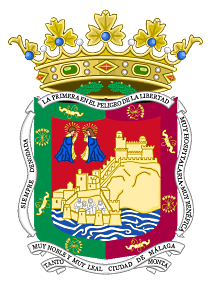 The beaches of Malaga are within walking distance of the port. Spain, Malaga. ♪ Bus Turistico "Hop On Hop Off"